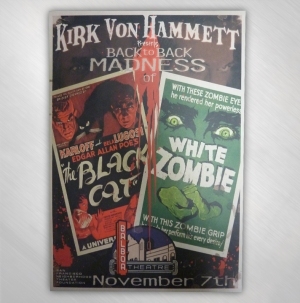 Kirk Von Hammett's - November 7th, 2013 - Black Cat / White Zombie Poster! 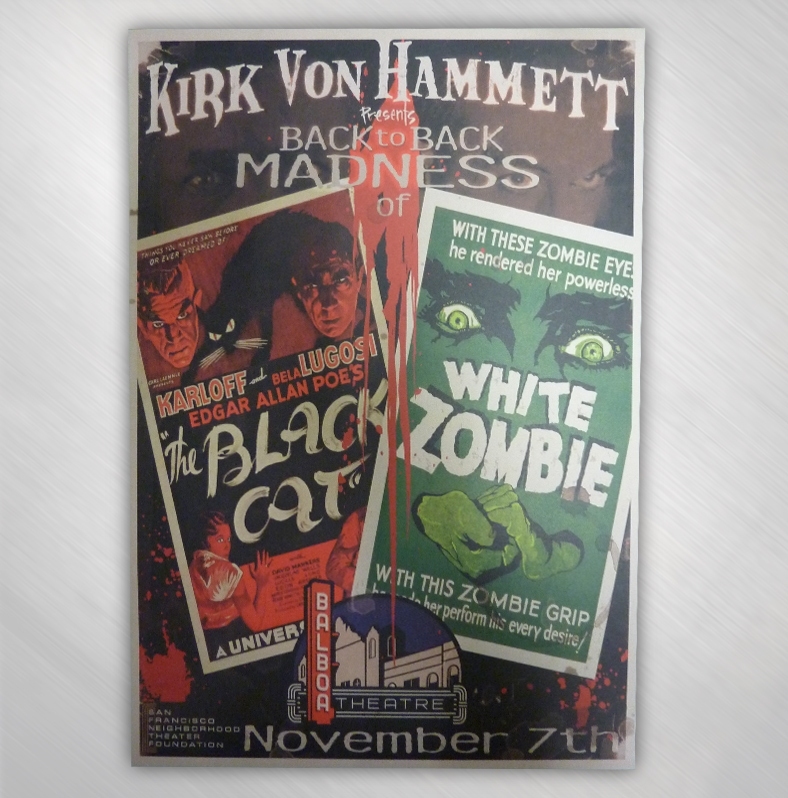 This poster commemorates the film showing of The Black Cat and White Zombie, November 7th, 2013 in San Francisco, at the historic Balboa Theatre in San Francisco, CA. Poster measures 13" x 19" tall. Limited to 150 pcs.